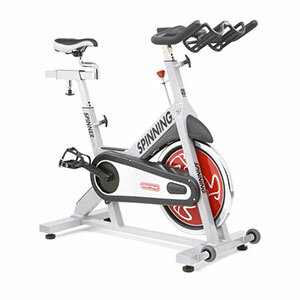 Combine the Spinning ® program and the Spinner Elite Spin Bikes with Star Trac’s unsurpassed customer service, support and training, and you’ll have all the tools necessary to kick your facility into high gear. Smart Release™ braking system provides safe dependable performance for unsupervised riders. Plastic rim on inner radius to protect flywheel from rust and corrosion. No-slip grip handlebars offer dual water bottle holders for ultimate functionality and convenience during ride.